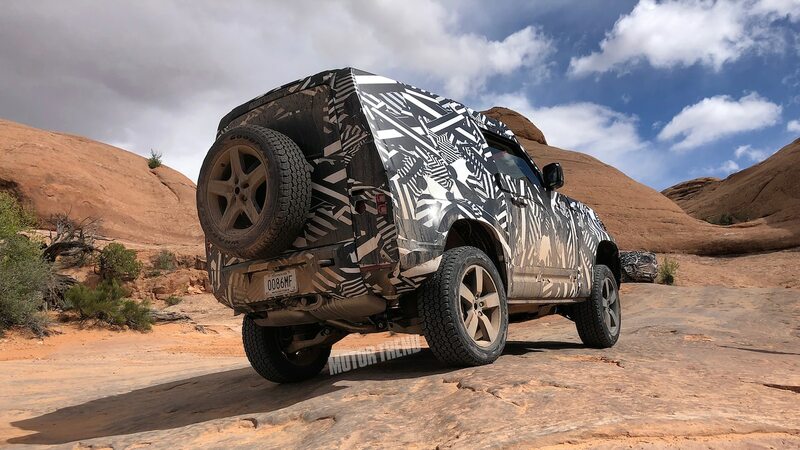 Thanks in part to Land Rover releasing its own official “spy shots” last year, we’ve known for a while that the new Defender will be a boxy off-roader. 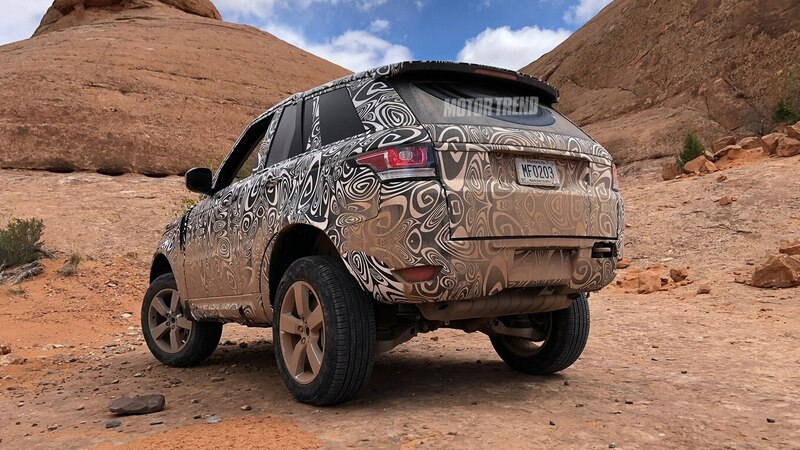 We’ll have to wait a little longer for the official reveal, but even in spy shots, it’s clear that Land Rover’s designers have at least done better than they did with the DC100 concept back in 2011. 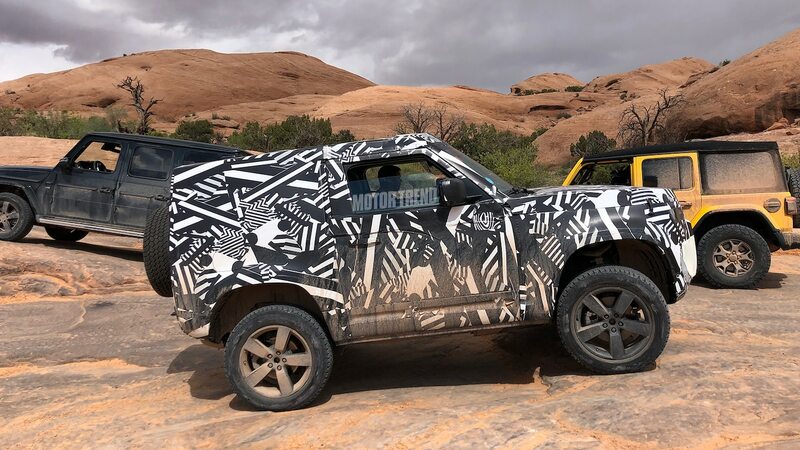 But earlier this week, we got our best look yet at the new Defender when a group of prototypes interrupted our film crew while they were shooting the next episode of Head 2 Head in Moab, Utah. 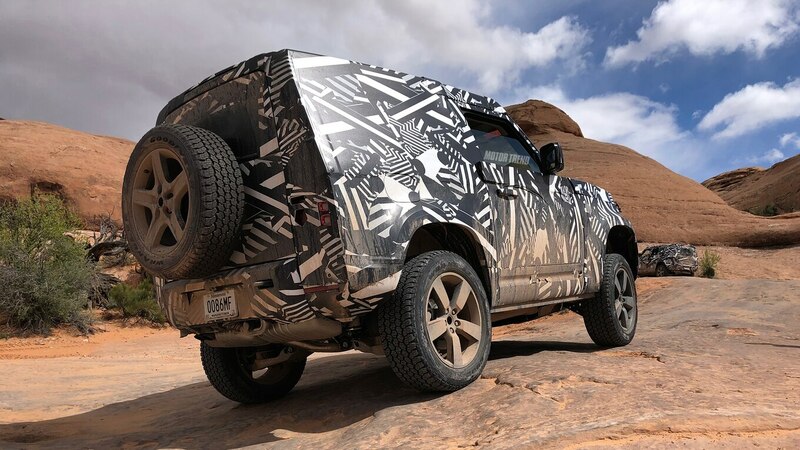 As you can see, Land Rover’s development engineers had both two-door and four-door prototypes with them in Moab, which could be great news for anyone who was worried the two-door Defender might not make it to North America. 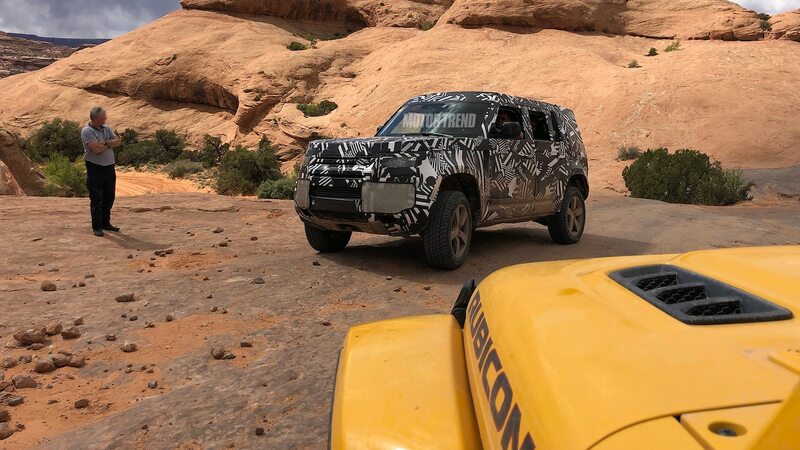 When they go on sale for 2020, expect the former to be sold as the Defender 90 and the latter to be called the Defender 110. We’ve also heard the Defender 90 will come with an optional soft top. Based on the size of the four-door prototype’s intakes, we’re pretty sure that one had a V-8 under the hood. One of the other prototypes sounded like it had a diesel engine. 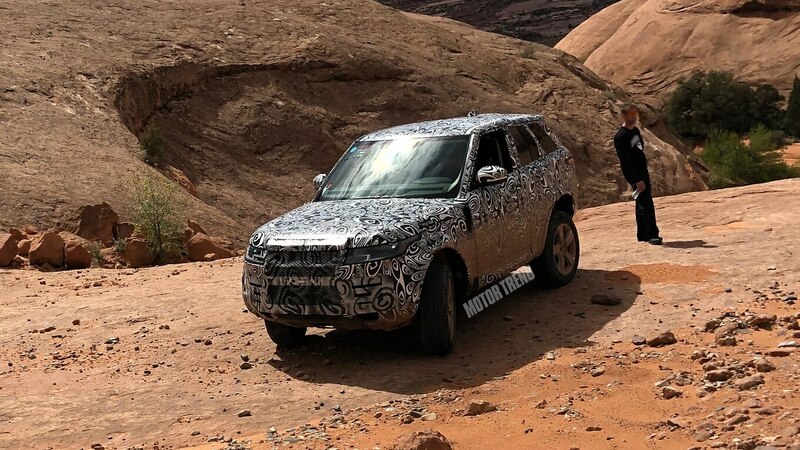 From what we’ve heard, the modified Range Rover Sport that was with them is a Defender powertrain mule. 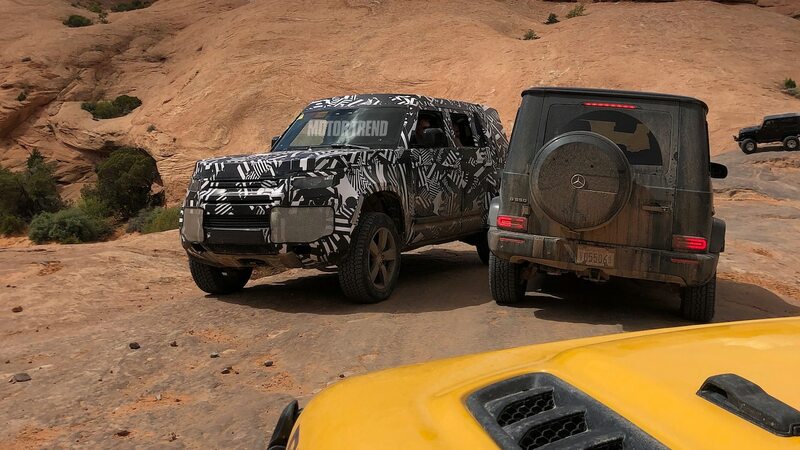 We were also able to drive the G-Wagen up close to the Defender 110 prototype for a rough size comparison. 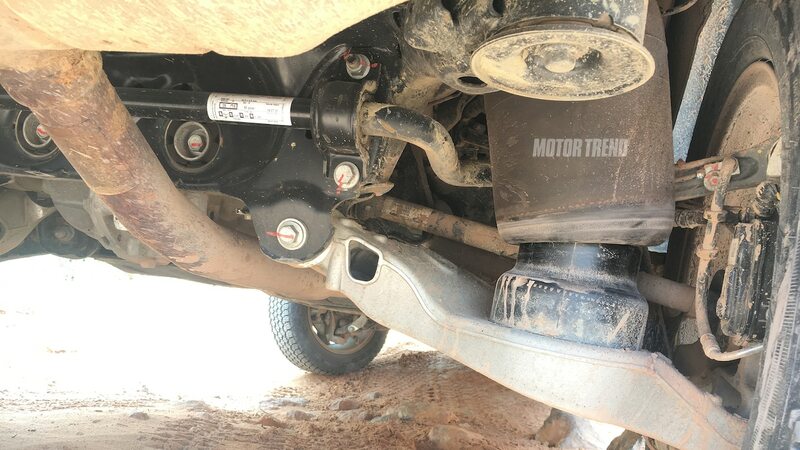 Even better, while Jethro distracted the development engineers, one of the camera guys was able to crawl underneath the prototypes and get a few shots of the rear suspension. 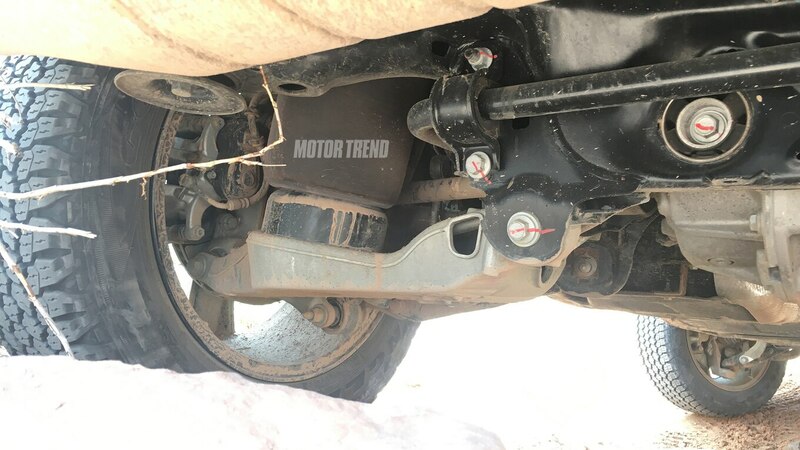 As you may have guessed from some of the other photos, there’s no live rear axle or coil spring suspension to be seen. 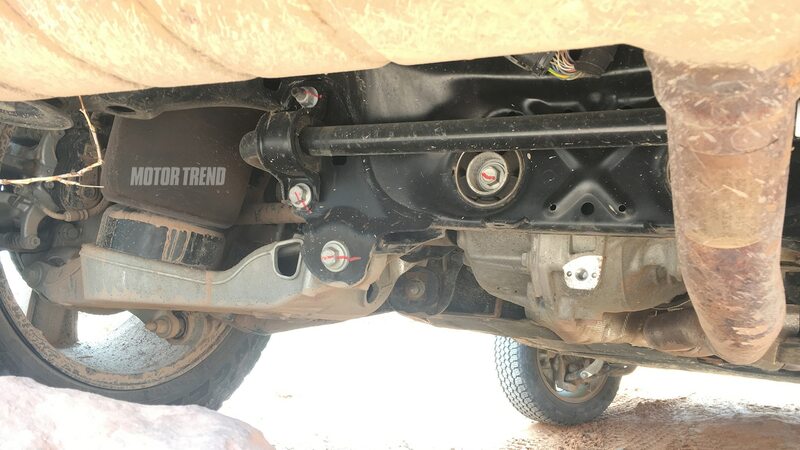 No, the Defender will get an independent front and rear air suspension. We’re not sure how durable that will be over a few hundred thousand miles, especially on gravel and around sharp rocks, but you never know. At least it should drive better than its predecessor on regular roads. Sadly, the engineers were the opposite of talkative, so even Jonny wasn’t able to pry any secrets out of them. 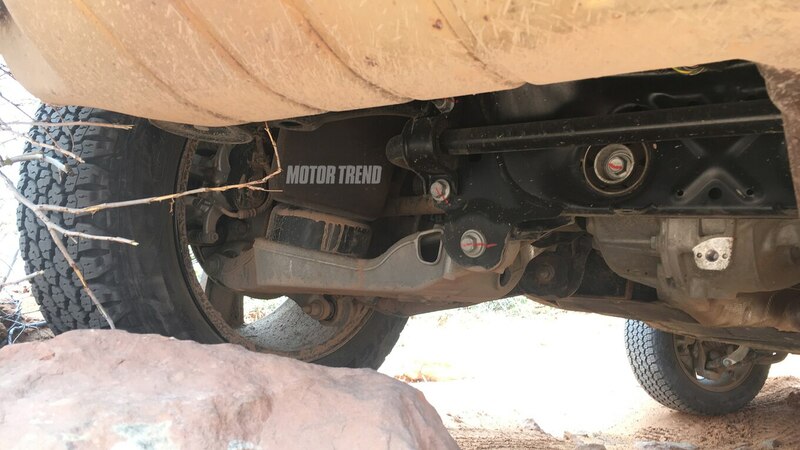 But now we know the new Defender will at least be able to handle the Poison Spider Trail even if it does have a fully independent suspension. 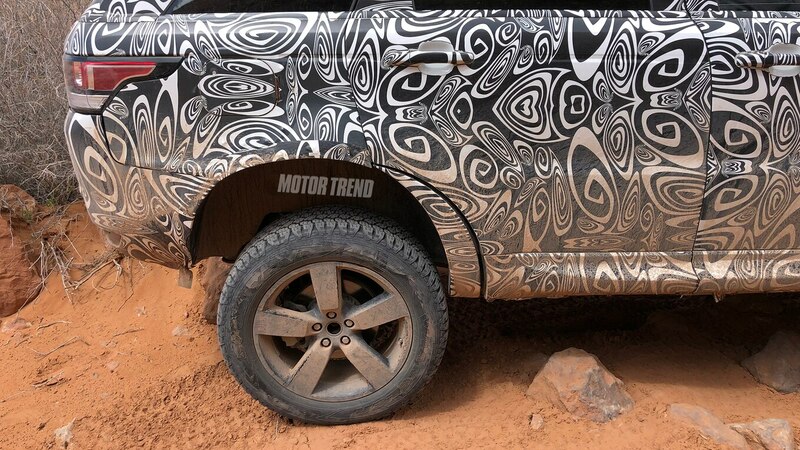 Now we just need Land Rover to hurry up and reveal the full vehicle.